Luis E. Arteaga-Pérez, Cristina Segura, Daniela Espinoza, Ljubisa R. Radovic, Romel Jiménez, Torrefaction of Pinus radiata and Eucalyptus globulus: A combined experimental and modeling approach to process synthesis, Energy for Sustainable Development 29 (2015) 13-23. Fujimori, T., Radovic, L.R., Silva-Tapia, A.B., Endo, M., Kaneko, K., Structural importance of Thrower-Stone-Wales defects in rolled and flat graphenes from surface-enhanced Raman scattering, Carbon 50, 3274 (2012). Silva-Tapia, A.B., García-Carmona, X., Radovic, L.R., Similarities and differences in O2 chemisorption on graphene nanoribbon vs. carbon nanotube, Carbon 50, 1155 (2012). L. R. Radovic, A. F. Silva-Villalobos, A. B. Silva-Tapia and F. Vallejos-Burgos, On the mechanism of nascent site deactivation in graphene. Carbon 49, 3471 (2011). Navia, R. and Radovic, L.R., Residual woody biomass torrefaction: challenges and opportunities for the waste management sector, Waste Management & Research 29 (12), 1233 (2011). L. R. Radovic, A. B. Silva-Tapia and F. Vallejos-Burgos, Oxygen migration on the graphene surface. 1. Origin of epoxide groups. Carbon 49, 4218 (2011). L. R. Radovic, A. M. Suarez, F. Vallejos-Burgos and J. O. Sofo, Oxygen migration on the graphene surface. 2. Thermochemistry of oxygen diffusion (hopping). Carbon 49, 4226 (2011). M. E. Gálvez, S. Ascaso, R. Moliner, R. Jiménez, X. García, A. Gordon, M. J. Lázaro, Catalytic Filters for the simultaneous removal of soot and NOx: Effect of CO2 and steam on the exhaust gas of diesel engines. Catalysis Today, 176, 134 (2011). M. E. Gálvez, S. Ascaso, I. Suelves, R. Moliner, R. Jiménez, X. García, A. Gordon, M.J. Lázaro, Soot oxidation in the presence of NO over alumina-supported bimetallic catalysts K–Me (Me = Cu, Co, V) Catalysis Today, 176, 361 (2011). C. Bidart, R. Jiménez, C. Carlesi, M. Flores, A. Berg, Synthesis and usage of common and functionalized ionic liquids for biogas upgrading. Chemical Engineering Journal. 176, 388 (2011). Suarez, A.M., Radovic, L.R., Bar-Ziv, E. and Sofo, J.O., Gate Voltage Control of Oxygen Diffusion on Graphene. Physical Review Letters 106(14), 146802 (2011). Rodríguez-Llamazares, S., Zúñiga, A., Castaño, J. and Radovic, L.R., Comparative study of maleated polypropylene as coupling agent for recycled LDPE/wood flour composites. J. Appl Polym Sci 122,1731 (2011). Sepúlveda, C., Leiva, K., García, R., Radovic, L.R., Ghampson, I.T., DeSisto, W.J., García-Fierro, J.L. and Escalona, N., Hydrodeoxygenation of 2-methoxyphenol over Mo2N catalysts supported on activated carbons Catalysis Today, 172, 232 (2011). 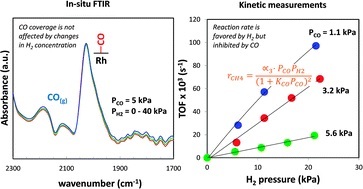 A. Karelovic, X. García, R. Wojcieszak, P. Ruiz, A. L. Gordon, Insight on the promoting effect of Zr and Ti on the catalytic properties of Rh/SiO2 for partial oxidation of methane; Applied Catalysis A: General, 384, (1-2), 220 (2010). R. Jimenez, R. Zamora, G. Pecchi, X. Garcia, A. L. Gordon, Effect of Ca-substitution in La1-xCaxFeO3 perovskites on the catalytic activity for soot combustion, Fuel Processing Technology, 91, 546 (2010). R. Jimenez, X. Garcia, A. L. Gordon, About the active phases of KNO3/MgO for catalytic soot combustion, Reaction Kinetics, Mechanisms and Catalysis, 99, 281 (2010).